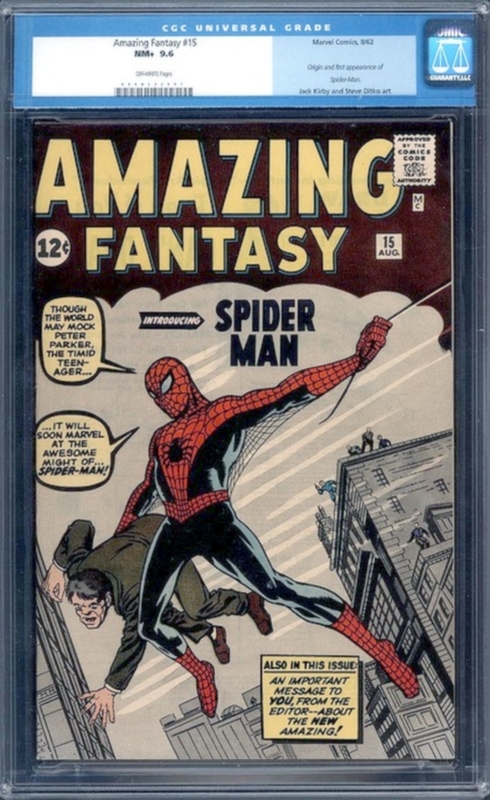 Amazing Fantasy #15, valued at $1.1 million dollars. Spider-Man has gone from a teenage superhero to one of the most popular and iconic characters in comic book history. He’s literally gone from nothing to the centerpiece of Marvel, thanks to his iconic mask and costume and crime-fighting prowess. The debut of Spider-Man in Amazing Fantasy #15 was one of the book’s highest sellers and it kick-started the career of Marvel’s most famous superhero. Spider-Man’s debut issue, Amazing Fantasy #15, was sold at auction for $1.1 million. The highest comic book auction on record is for the debut of Superman, Action Comics #1. So-called Golden Age comics (from the 30’s to the 50’s) are generally more valuable than Silver Age comics (from the 50’s through 70’s).